Are you fond of making adventurous tours? Below is a description for wonderful adventure in Auli. The tour is organized by Adventures Tour India, Garhwal Himalayan Expedition. This extensive and charming mountain expedition tour is in collaboration with the Cliff Top Club Resort in Auli. Auli situated at an altitude of 2500- 3050 meters is 16 kilometers from Joshimath and an important ski destination in Himalayan Mountains. 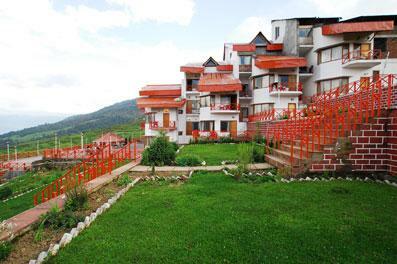 In Auli , the Cliff Top Club Resort is the best ski Resort in the world which is at an altitude of 10,000 feet. This winter resort is run by Garhwal Mandal Vikas Nigam. From the Resort one can view a snow capped mountains of Nandadevi, Dronagiri, Kamet, Trishul, Neelkanth, Mana and Mukut. 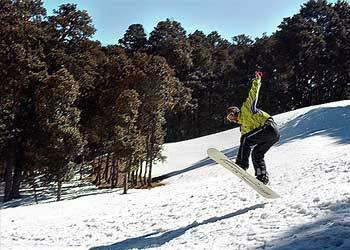 The resort offers training for skiing in Auli. The resort has studios and one bed room apartments. All the essential amenities are available in the resort along with the medical facilities. On arrival at Haridwar railway station, check into the hotel Aarti. After refreshment, enjoy jungle safari at Rajaji National Park. Come back to the hotel and stay over night. In Morning,trip for a full day visit to the Rajaji National Park and enjoy elephant safari. Stay over night at the park. After having breakfast, drive to Auli. Arrive at Cliff Top Club Resort, Auli. There is nice arrangement for recreational games with delicious dinner in the hotel. Stay over night. After breakfast in the hotel, enjoy the full day by skiing. Stay over night in the hotel. After having breakfast in the hotel, enjoy the day by experiencing the adventure of snow skiing. Stay over night in the hotel. After breakfast, check out from the hotel and drive to Kaudiala - a rafter's paradise. Welcome drink will be served with nice arrangement of beach volley ball delicious dinner. Stay over night in executive huts or tents on the bank of river Ganges. 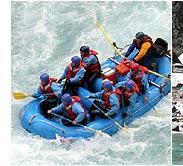 In the morning, move to Shivpuri and enjoy water rafting in the river Ganga. Afternoon, drive back to Haridwar and board on Shatabdi Express for your onward journey.